You drift away in deep slumber for 2 hours (or less, depending on traffic of course) and open your eyes to lush, tropical greenery. There’s a breeze of fresh air as you step outside. Are you dreaming? Were you flown to the Amazon? 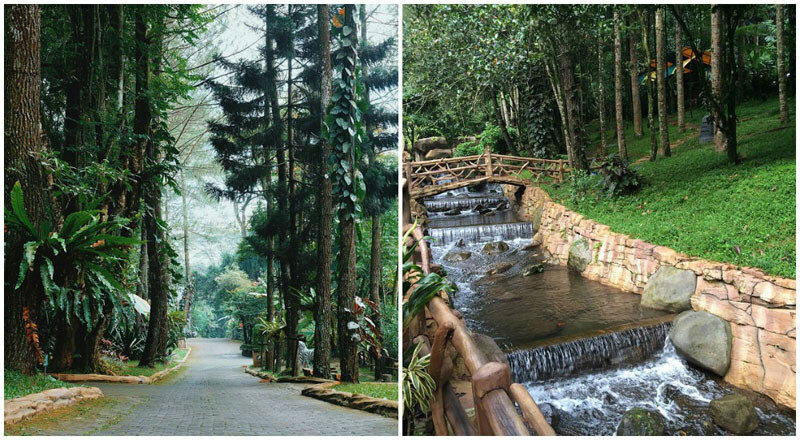 Welcome to the area of Bogor/Puncak – it’s close enough to be considered as Jakarta’s suburbs, but far enough to make you forget the hectic city life. 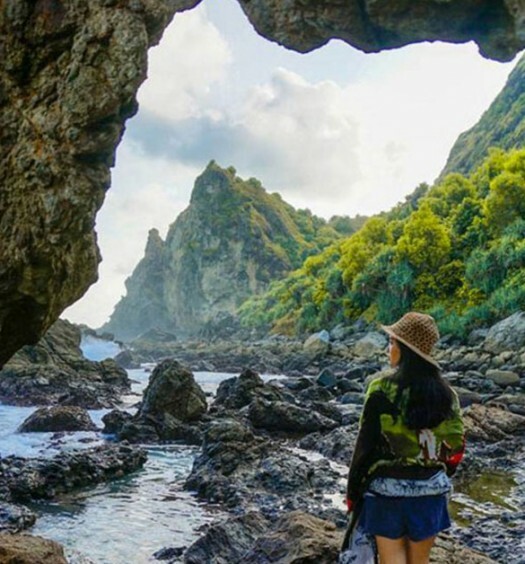 Not to mention the amazing wildlife, lush rainforest, and fresh unpolluted air that comes with these 11 retreats that we’ve picked out just for you. Like us on Facebook to see more great stuff about Indonesia! If you’ve never heard about glamping, welcome to the life of glamourous camping (glamourous + camping = glamping! 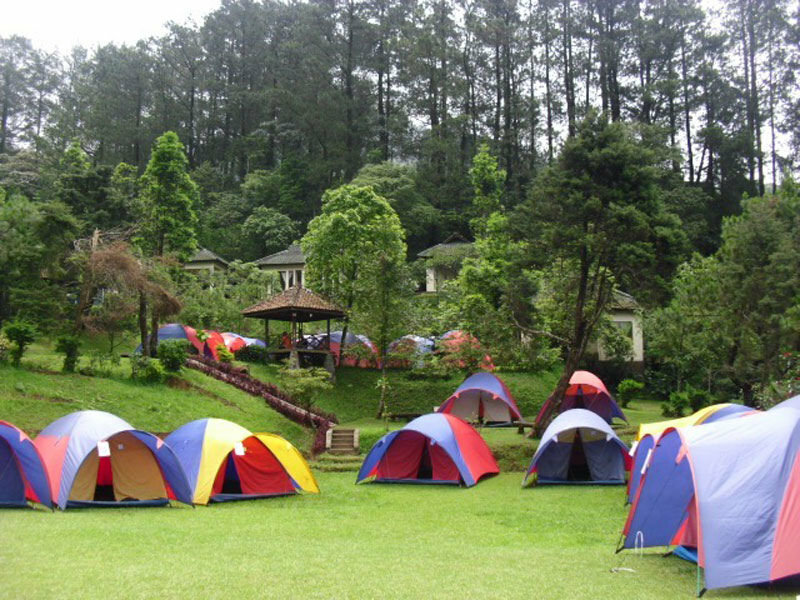 ), where you camp in both style and comfort. Highland Park Resort offers one of the most unique glamping selections that we’ve never really seen before. From Mongolian-styled camps and Indian Apache tents, to treehouse retreats and deluxe barracks for bigger groups – Highland Park Resort has an astonishing variety of glamping options. In each accommodation, heated water, air-conditioning, cable TV and all the modern comforts we appreciate are thankfully available. Unleash the kid-at-heart in you and choose the stay of your childhood dreams (we vote either the treehouse, or the cute teepee-lookalike Indian Apache tent!). Bring your friends or family here, and you’ll have a great bonding experience with all the thrills of camping, and none of the discomforts. We love that there are so many activities to do together here. Make a big splash and revel in that adrenaline rush with the resort’s pool, slides, and sports area. If not, you can also choose to go on the flying fox, walk on the high ropes, go mini golfing, ride a horse, play table tennis, sing along at the karaoke, and so much more! There’s also an in-house spa, just in case you need some pampering! Apart from that, food is served when you dine at Highland’s restaurant, with delicious options like Mongolian Beef Steak, Chicken Schnitzel, Prawn Bisque for that warm soup belly, and really yummy drinks too. Head down to the Sky Lounge and enjoy your meal with an intoxicating view – there is never a dull moment when you’re glamping in Highland! Which would you prefer to stay in? 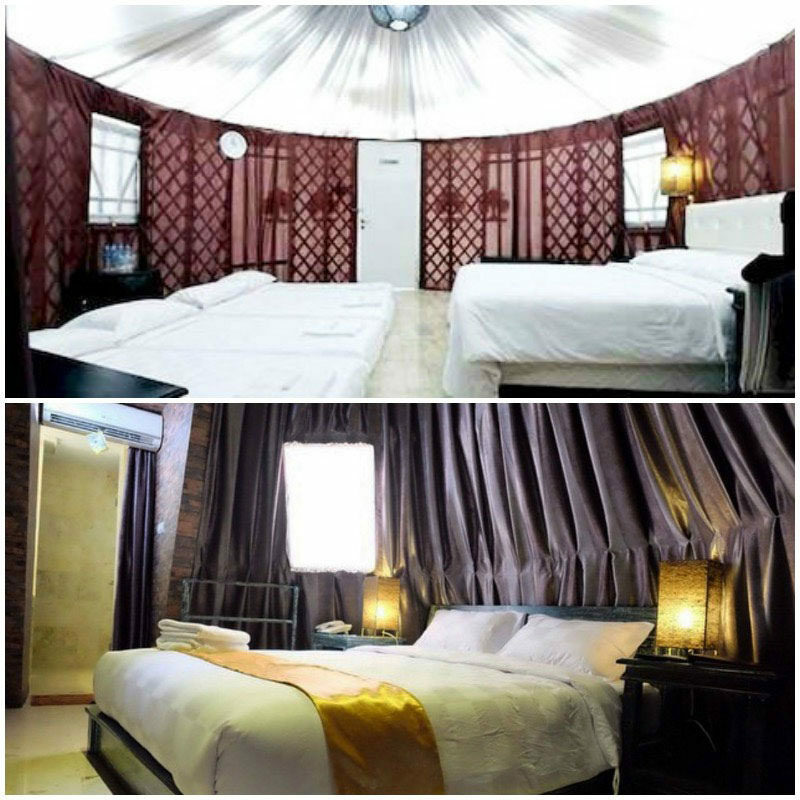 A caravan, hotel room, or a bungalow? 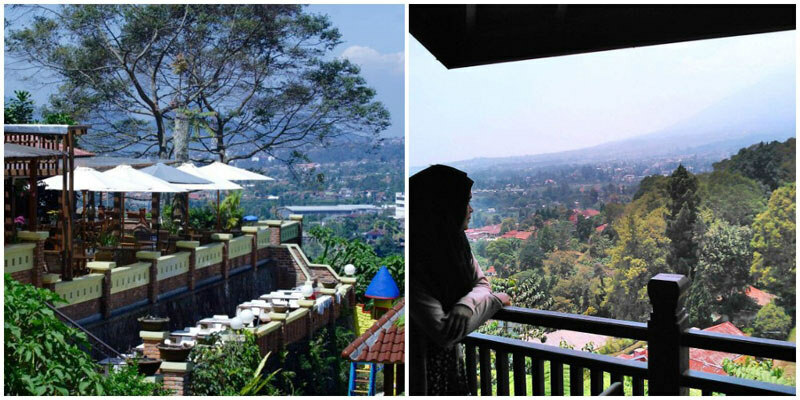 At Safari Lodge Puncak, choose from the 3 and start your vacation in the best way possible! There is no need to spend more than a thousand dollars for that African safari trip. Wake up to tigers and monkeys knocking on your door whilst staying in the Safari Lodge, as your neighbor is the safari park! Pretend to be a park ranger and see what it feels like to be staying in a caravan type of lodging if it’s more of your thing. 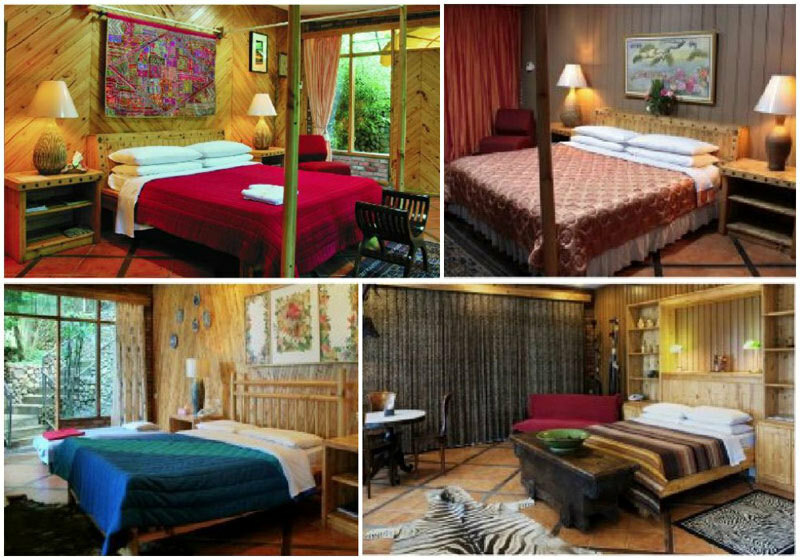 But if you want to be pampered, stay in a bungalow – you’ll still get to keep in close contact with mother nature. 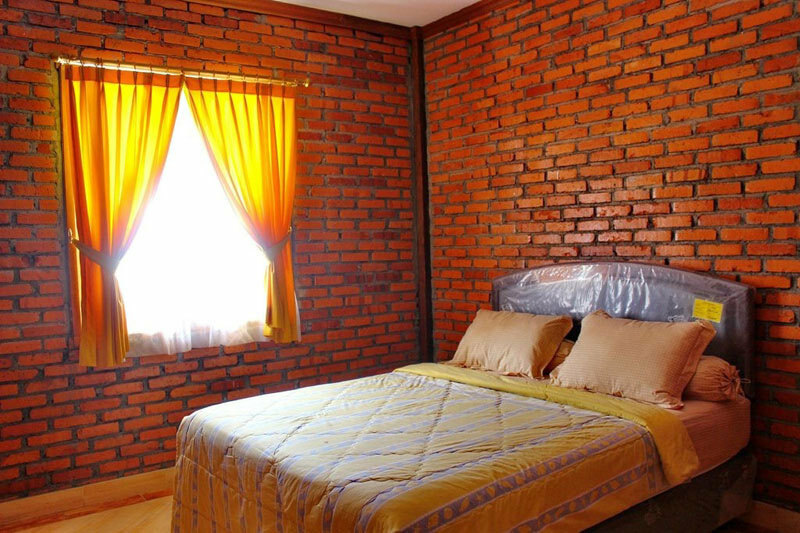 The rooms are, of course, clean and comfortable with contemporary decor. Other than that, there are fun activities to embark on. For one, choose between a Safari Day or Safari Night package (or both! ), and go driving around the forest in a private vehicle. Observe and explore the animals in their natural habitat – and even enjoy free rides and games like the 3D haunted house. 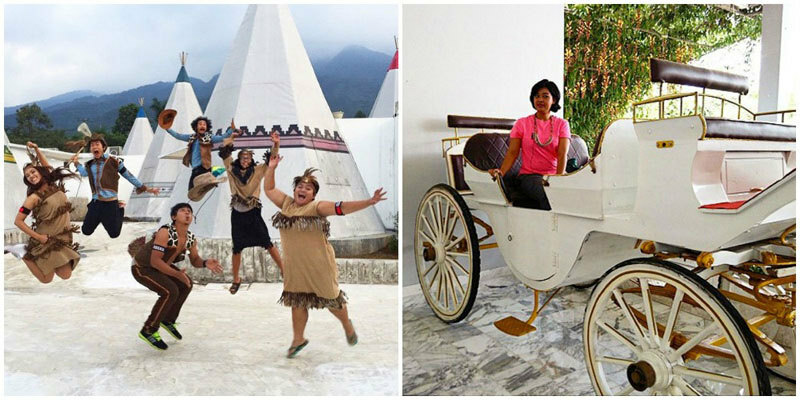 Life’s a carnival at Safari Lodge Puncak with really fun things to do (there’s also an amusement park and water park! ), and it makes for a pretty great educational experience for the kids too. The surroundings will keep you gasping in awe and at the same time, relax and reenergise you until your next vacation. 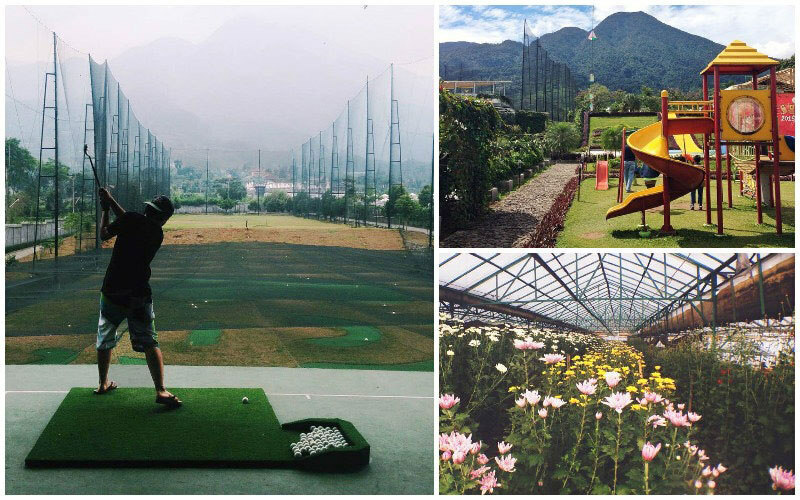 Embrace your inner Tiger Woods whilst in this resort. 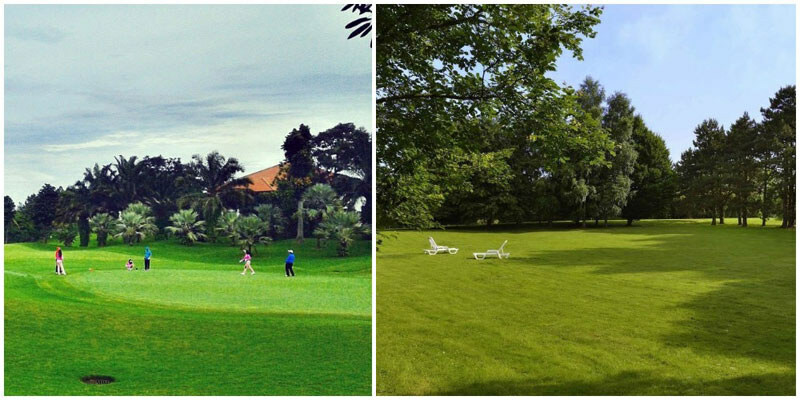 Novotel Bogor Golf Resort has an 18-acre golf course neighbor, so you can be pretty certain that there is lush greenery surrounding the place. Everything that you do here will be “with a view”. 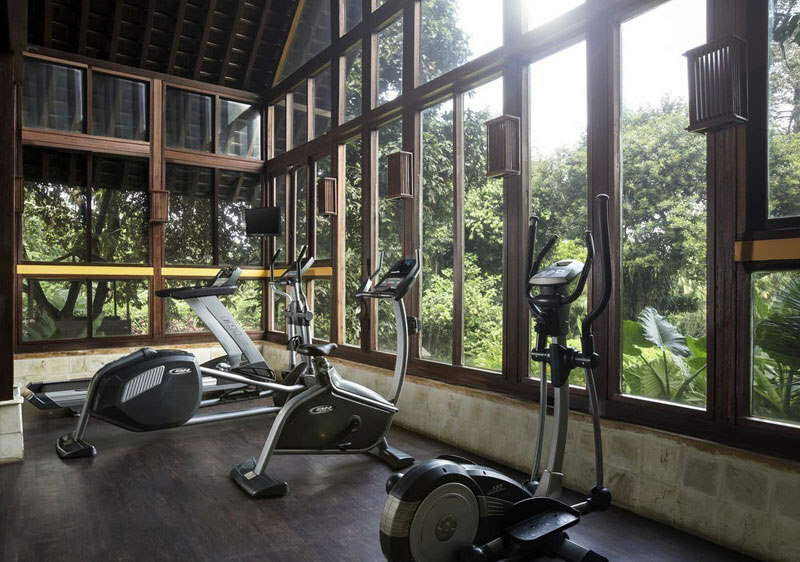 Riding a stationary bike in the gym will show you a great view, the pool is like a scene from a movie and features a sweeping view of the trees, and the rooms all come equipped with amazing views. You do have it all if you’re surrounded by a golf course. There are even other famous sights around for you to explore, such as the famous Bogor Botanical garden (6km away), the Presidential Country palace, also known as Istana Bogor (7km away), and the factory outlet where a great shopping experience is waiting for you: 7km and Botani Square. If you don’t have your own transport, Novotel provides a free shuttle to Botani Square, so it’s conveniently accessible should you feel like heading out of the premises. Within the resort, there are also restaurants providing cuisine ranging from Indonesian to International, just in case you don’t intend to step out – and better yet, there’s the Mahoni Bar to satisfy any cocktail craving. We’d advise you to book a Deluxe Room, simply because you get a pretty sweet double outdoor bathtub in your private garden terrace. 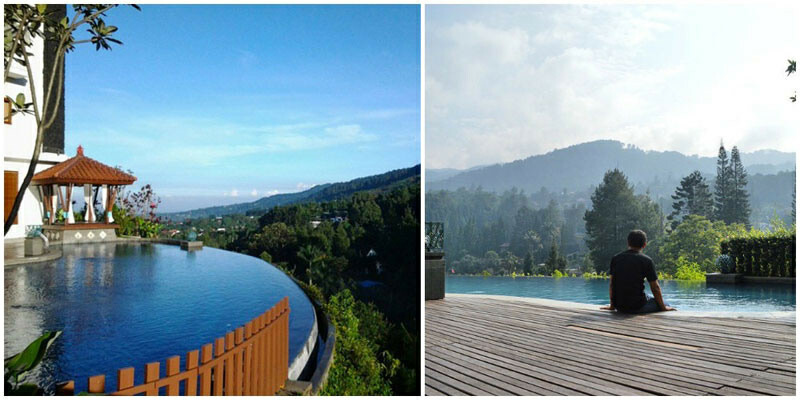 Bathing in the outdoors to a gorgeous view is just an added bonus as you vacay away at Novotel Bogor! If you’re planning your nth trip to Bandung from other parts of Indonesia, why don’t you leave the boring highway and travel via the Puncak highlands? It will take just a little longer, but the journey and views are much more exciting. You can even do a stopover and spend a night there. 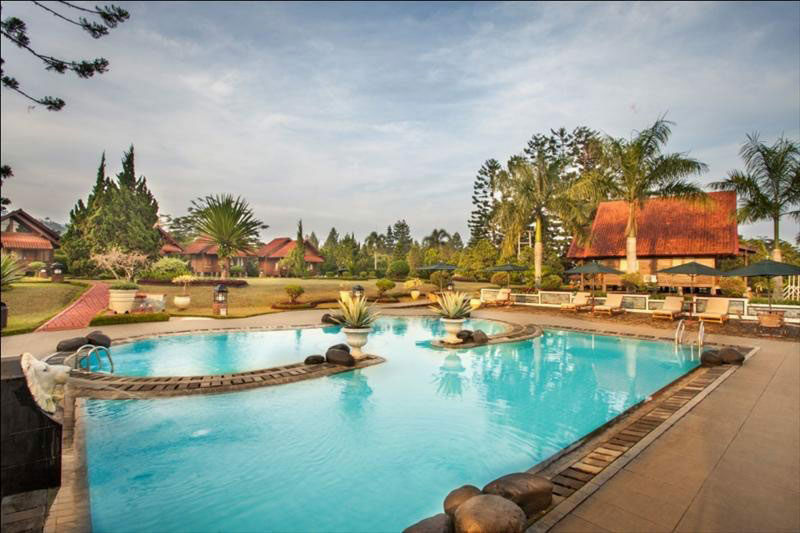 Or, if you don’t have that much time to make it to Bandung, this very special resort can be a thrilling alternative. 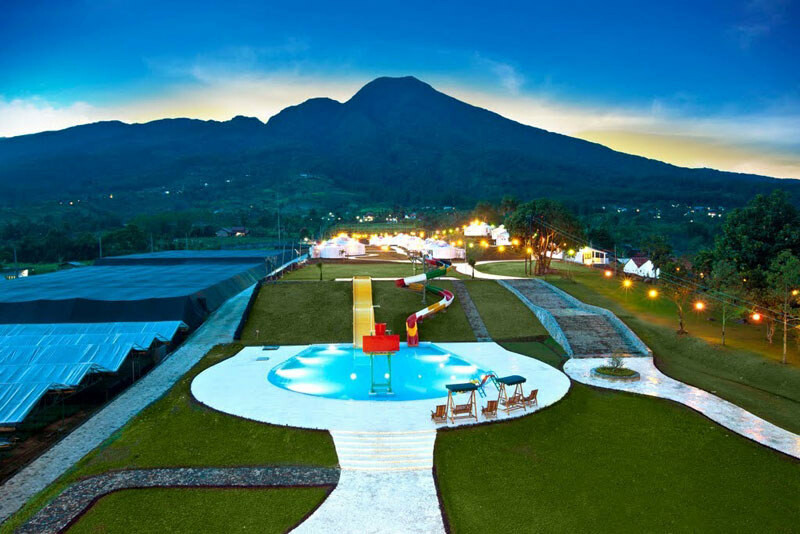 Novus Puncak is located in Cipanas, with its famous breathtaking mountain view and fresh air – the best place to rejuvenate and recharge. Your kids will be well taken care of at its great kids club facilities while you can laze by the pool. 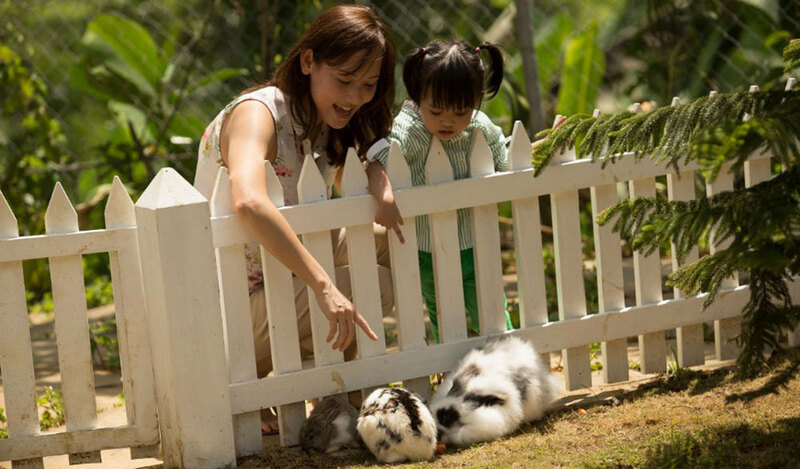 Be sure to take your kids (and yourself) to its famous rabbit farm too, where you can feed and play with the healthy, fluffy bunnies. Nothing beats a gloriously misty mountain view, especially when you’ve had enough of the Jakartan traffic and crowd. 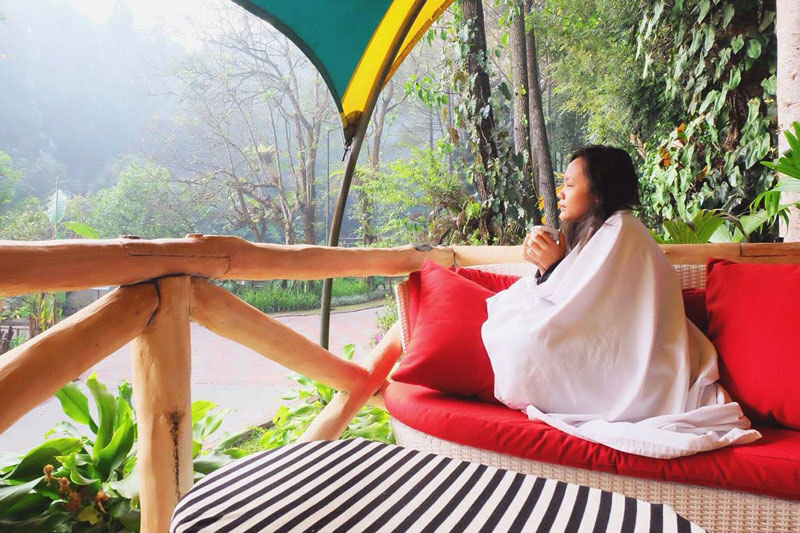 If you’re looking to find some peace on your next holiday, why not consider Talita Mountain Resort? 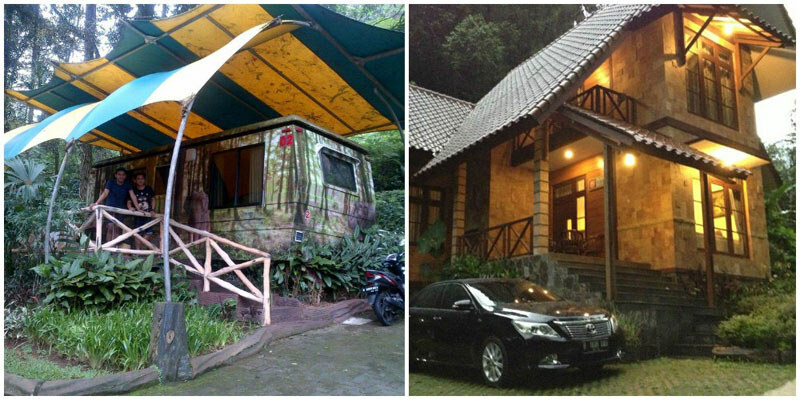 Firstly, do note the difference between accommodations at Talita Mountain Resort 1, and Talita Mountain Resort 2. The former’s rooms are named after planets, while the latter’s rooms are named after flowers. 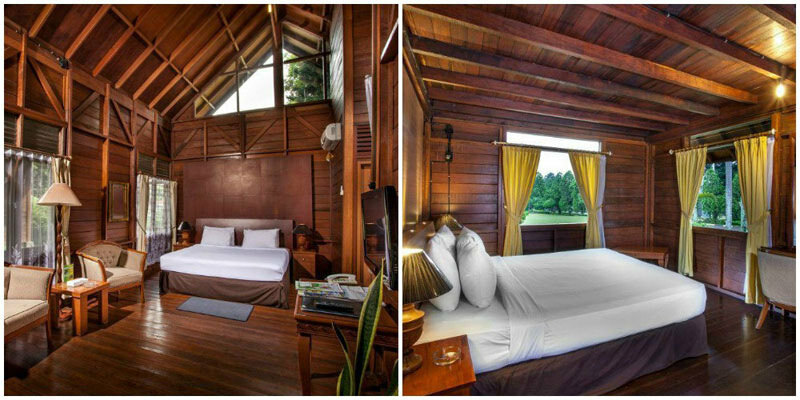 Accordingly, Talita Mountain Resort 1’s rooms are more on the contemporary side, while Resort 2 has a more romantic feel. 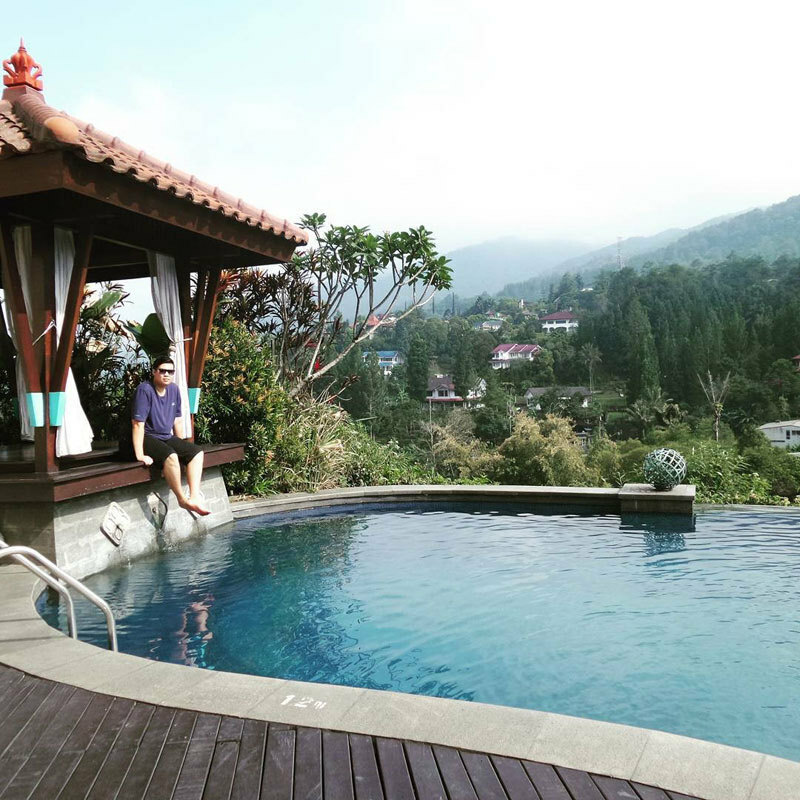 Apart from lodging, there’s also a mountain-top swimming pool with a wonderful view, jogging track and hiking trails (for the adventurous! ), spa for some desired relaxation, and a children’s playground to keep your kids entertained. You can even pick strawberries there! 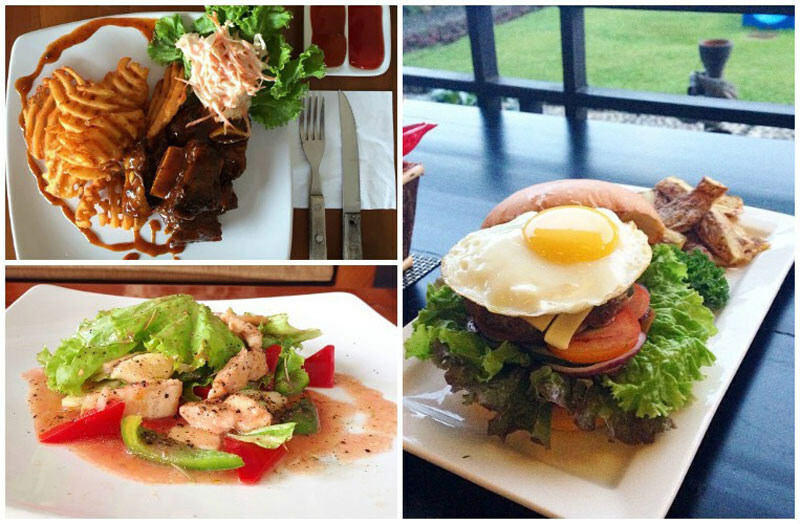 Of course, when you’re hungry, Talita Resto & Cafe will fill your belly with European, Japanese and Indonesian food. It can also be quite romantic when you’re dining here at night. 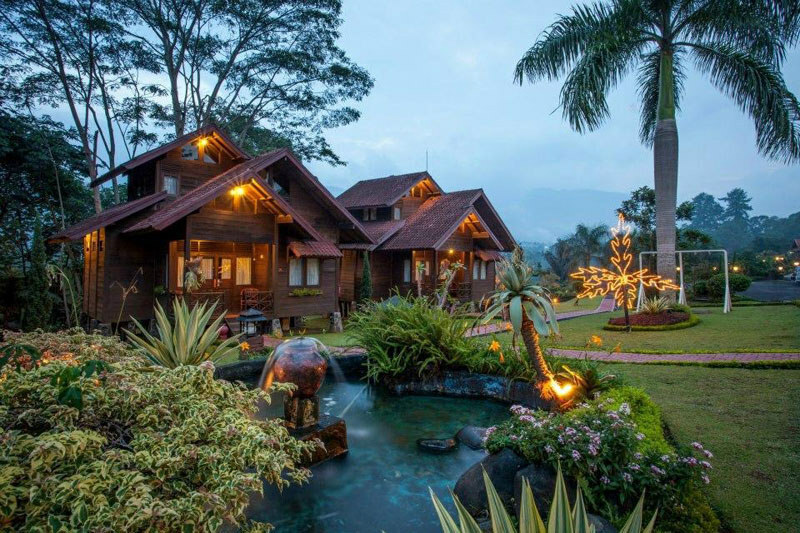 Whether you’re bringing your kids along or having a simple retreat with your spouse, staying here truly is a retreat in all the best ways – thanks to the fresh invigorating mountain air, and the simple and fun activities perfect for both families and a romantic getaway. 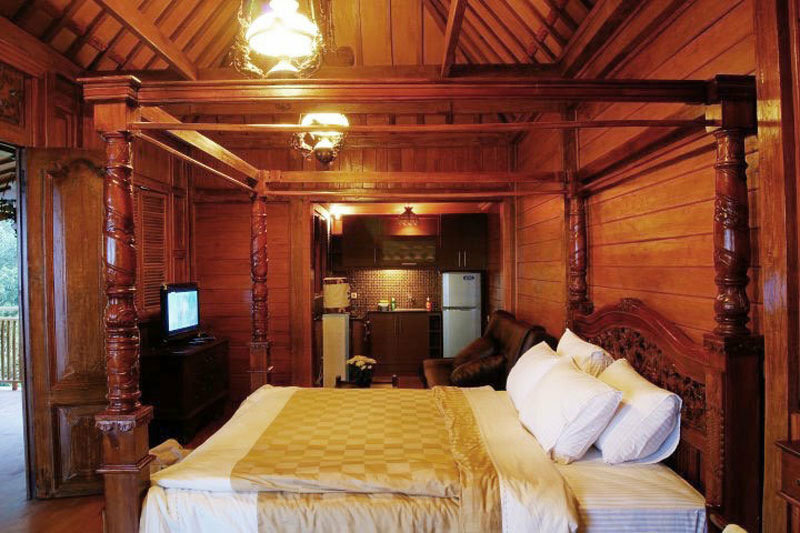 This is the first thing you need to know about staying in Citra Cikopo – it’s like the cosiest chalet cabin retreat tucked away from the hustle and bustle of the city. 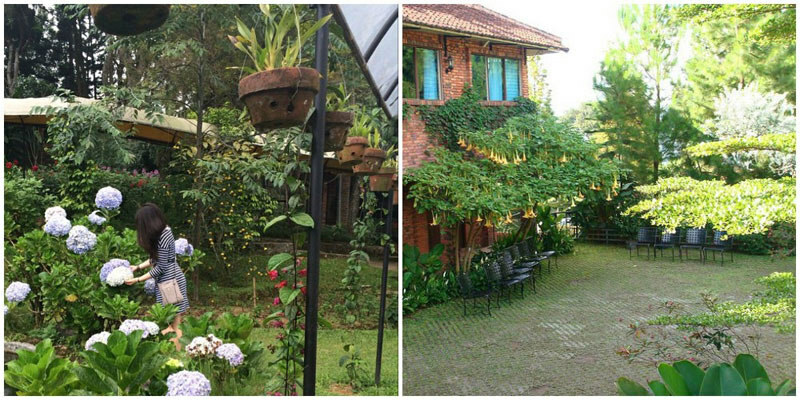 Here, you may book 1-room studios, cottages and bungalows depending on your needs, and we love Citra Cikopo’s ‘one with nature’ concept when it comes to their lodgings. Built with natural materials to integrate nicely within the natural environment, Citra Cikopo gives off truly warm and welcoming vibes. There are massage treatments available at the spa, a fitness center in case you feel like working out; and a swimming pool for both the kids and adults – with a pool bar so the adults can get a drink and the kids can get a bite if they wish! For food, head over to the 2-story restaurant with (what else?) an incredible view of the mountains. There’s a good variety of traditional Indonesian, Chinese, and Western cuisine available for your picking. 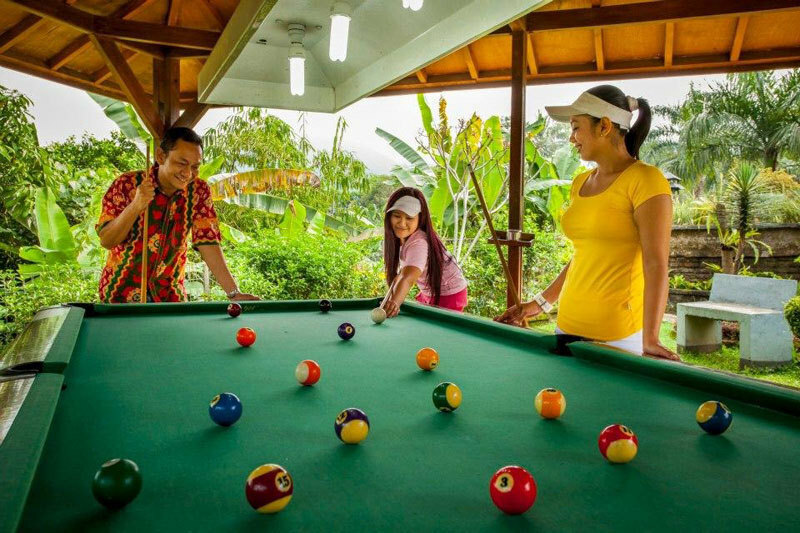 Other activities at Citra Cikopo include family karaoke at the 2 family karaoke rooms available, billiard, and parks and playgrounds for a fun exploration on Citra Cikopo’s 5-hectare land. Make sure to have a BBQ night while you’re here, as they also provide BBQ facilities, complete with food that you may order directly from them for your BBQ! 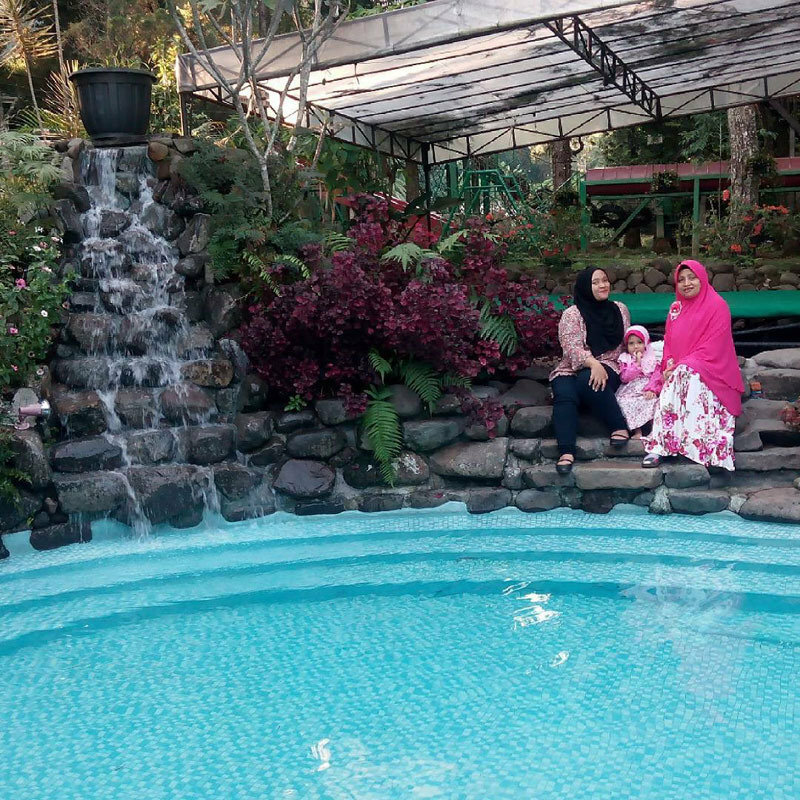 So if you want quality time bonding with your family, sunshine and the freshest mountain air, this pretty much gives you all you need for the best family retreat. 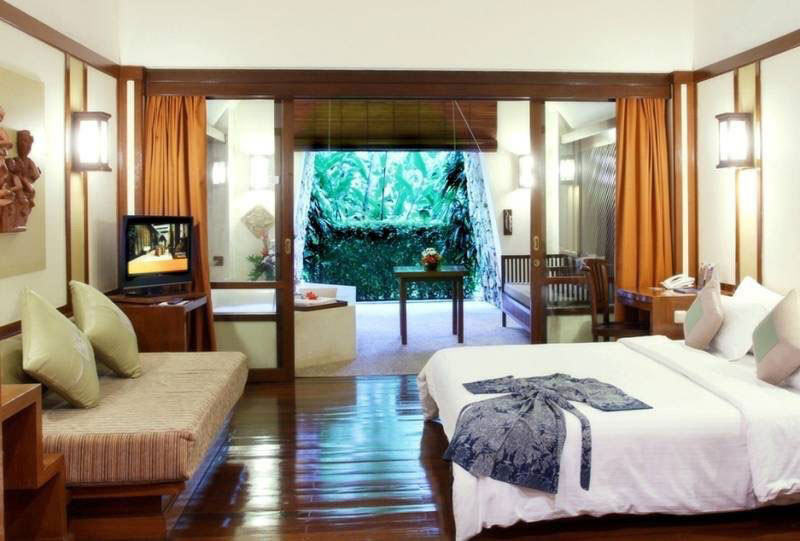 From single rooms in the hotel to 3-bedroom villas, Grand Hill is another wonderful rainforest retreat that offers lodgings suitable for families of any size. 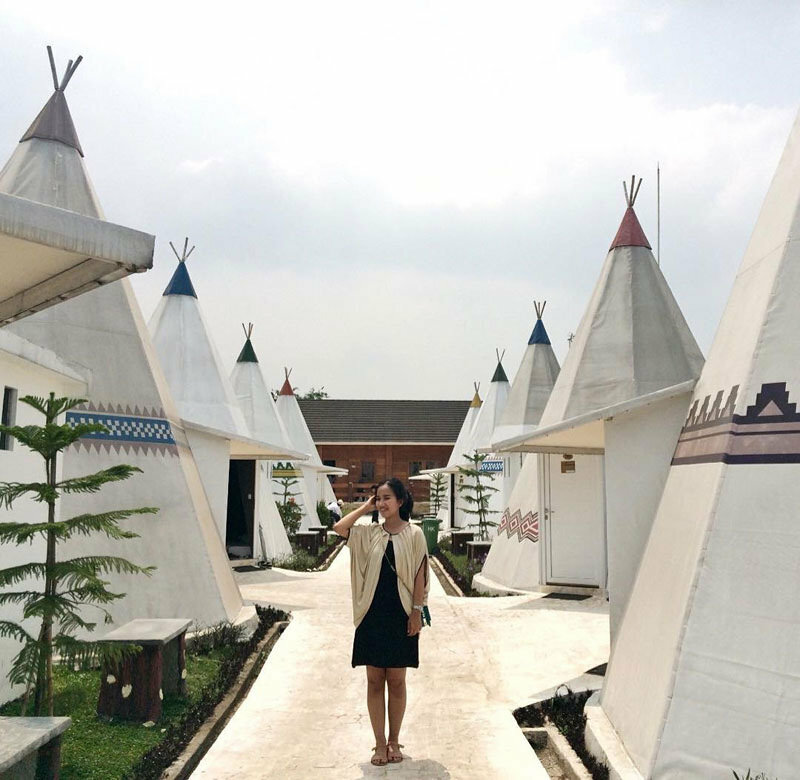 Just so you know, they’ve made it their mission to “Bring Bali back to Puncak”, and this definitely means you have to come and check it out for yourself. At the Bistro-Cafe itself, you’ll get to feed on Western, European and Asian fare, while taking in the view of the Great Salak Mountain. Other than that, you may also venture over to the Bamboo Lounge for afternoon snacks, juices and tea, or head to Kupu Kupu for more main courses and drinks! The next thing you should know about Grand Hill? 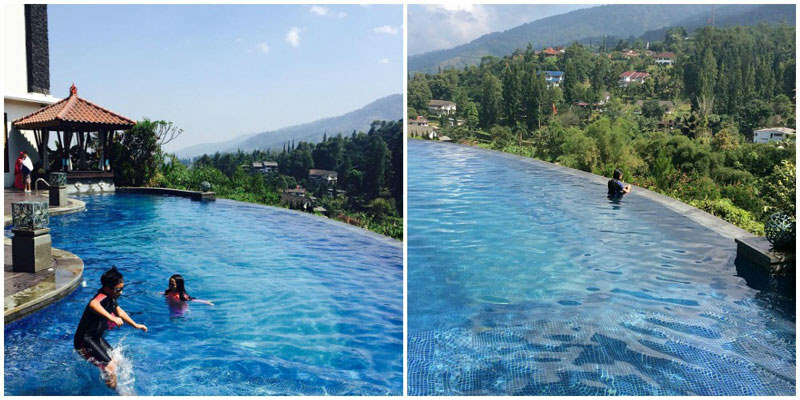 Swimming at their infinity pool is an almost magical experience. 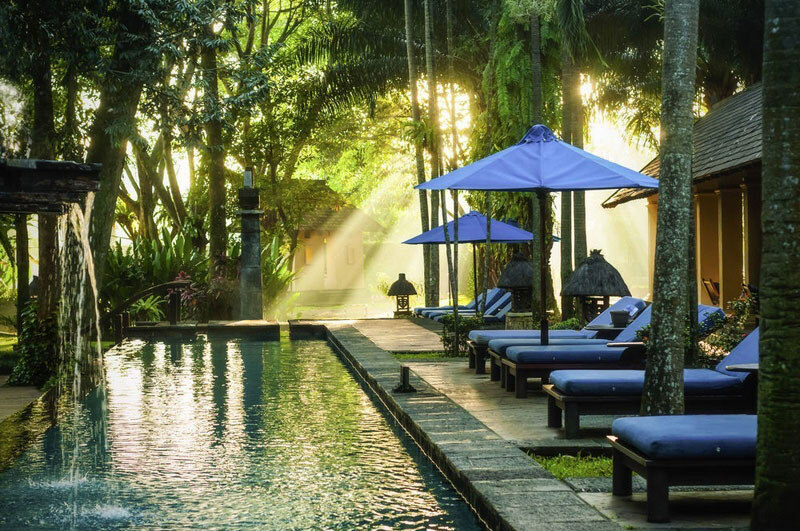 The views of the rainforest rival Ubud’s views of lush greenery from a certain other famous infinity pool – looking at the pictures themselves makes us feel how magical swimming there would be – especially when there’s that misty mountain fog making everything seem a little more unreal. 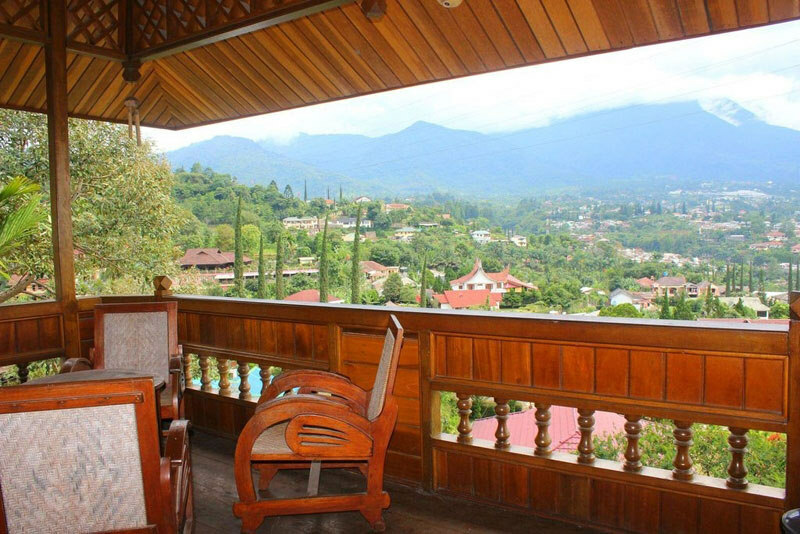 All the rooms at the hotel provide a private balcony overlooking the mountain if you’d like to just sit and wonder at the view from the comfort of your room. 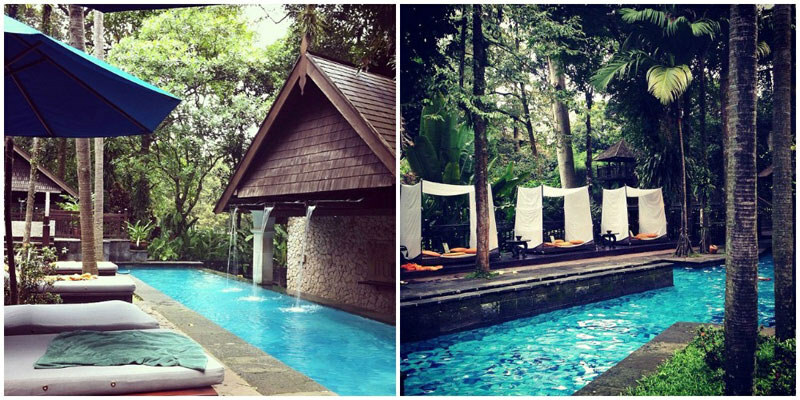 And if you’re hefty with cash, you definitely wouldn’t mind staying in the private villa with your own pool. You can’t beat that. If these aren’t enough to get you on your way to a stay at Plataran Puncak, we don’t know what else will. Dine literally in the middle of nowhere. Because, why not? 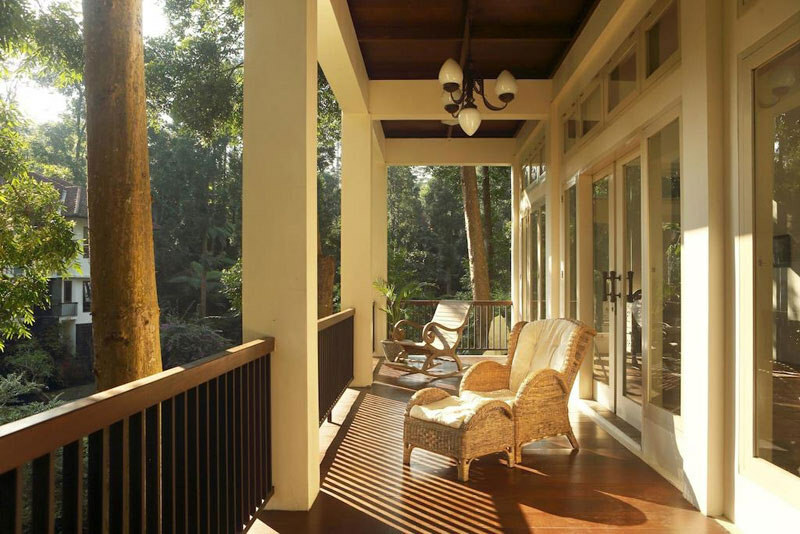 Curl up on a rocking chair with a book and an awesome view – the villas are surrounded by glass, letting natural light come in. 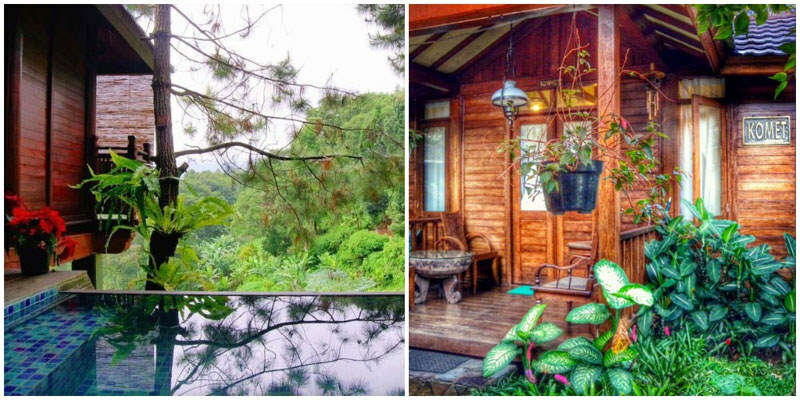 If there ever was a dream home, the villas at Plataran Puncak surely made our list. With its picturesque surroundings (that we keep emphasising for good reason! 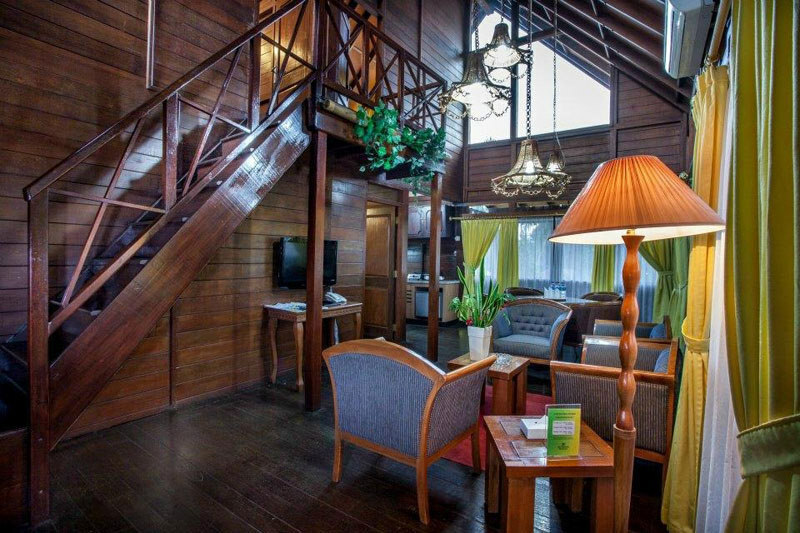 ), and the grand English country decor, this resort oozes a delightfully quaint charm. 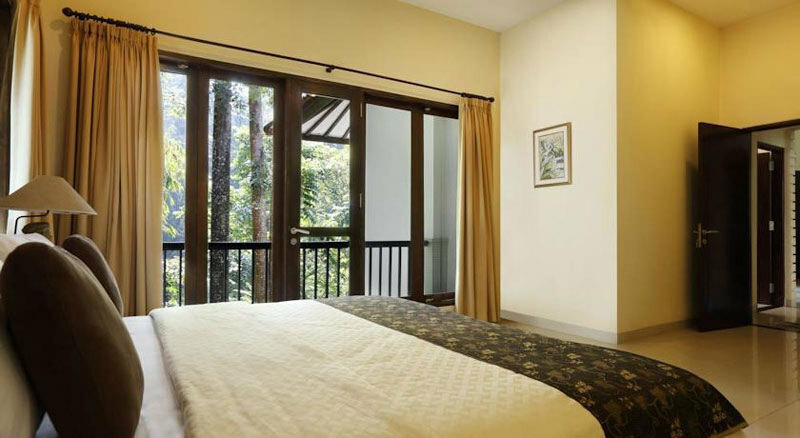 Of course, Plataran Puncak is more suited for families, with their 5-bedroom villas providing the points listed above. 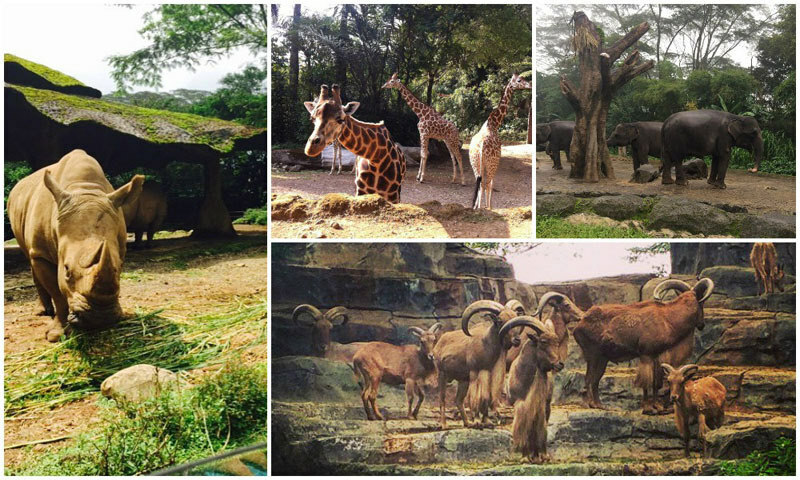 While it is positioned away from the main roads of Puncak, the good news is that you’ll be able to access popular sites like Taman Safari (a 4-minute drive away! 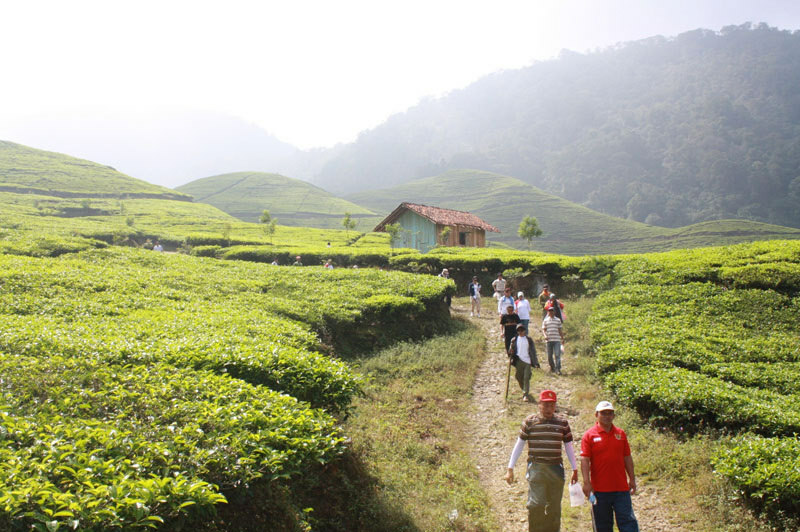 ), Gunung Mas Tea Plantation and others. 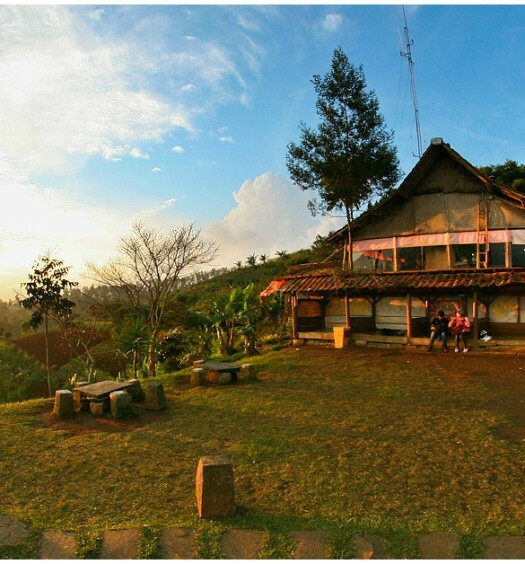 Also, Plataran Puncak is in the same area as Restaurant and Kopi Tiam Cafe, which is where you’ll be going to for meals. Otherwise, be prepared to whip up meals for the family in your villa’s kitchenette (equipped with a microwave and refrigerator) – if not, you may also utilise the shared kitchen. 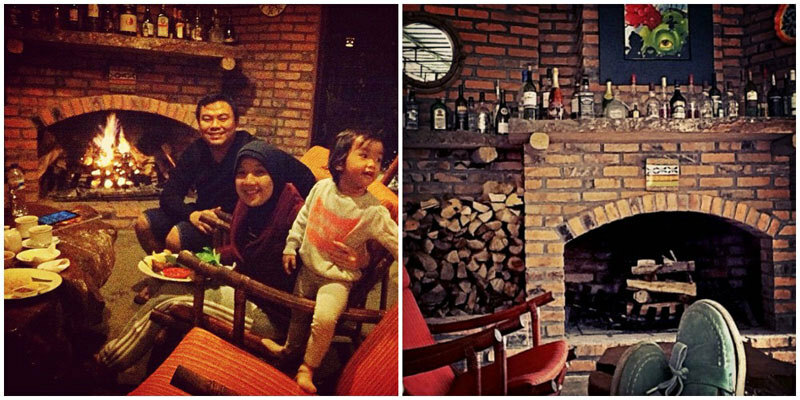 All in all, Plataran Puncak is one fantastic location for the family! 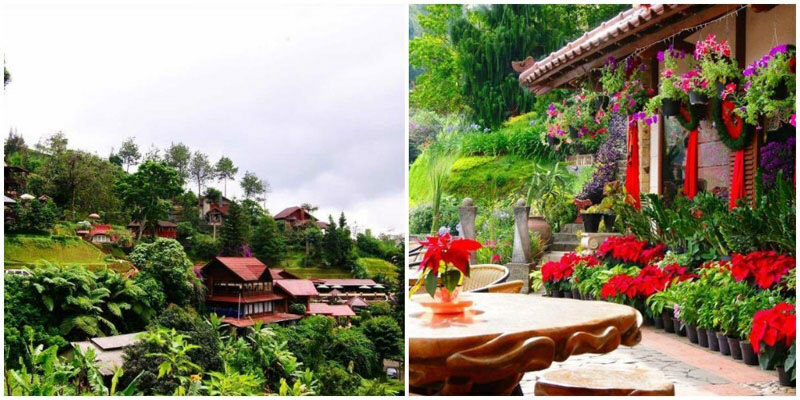 You might want to take a second look at what seemingly is a run-of-the-mill Puncak resort. 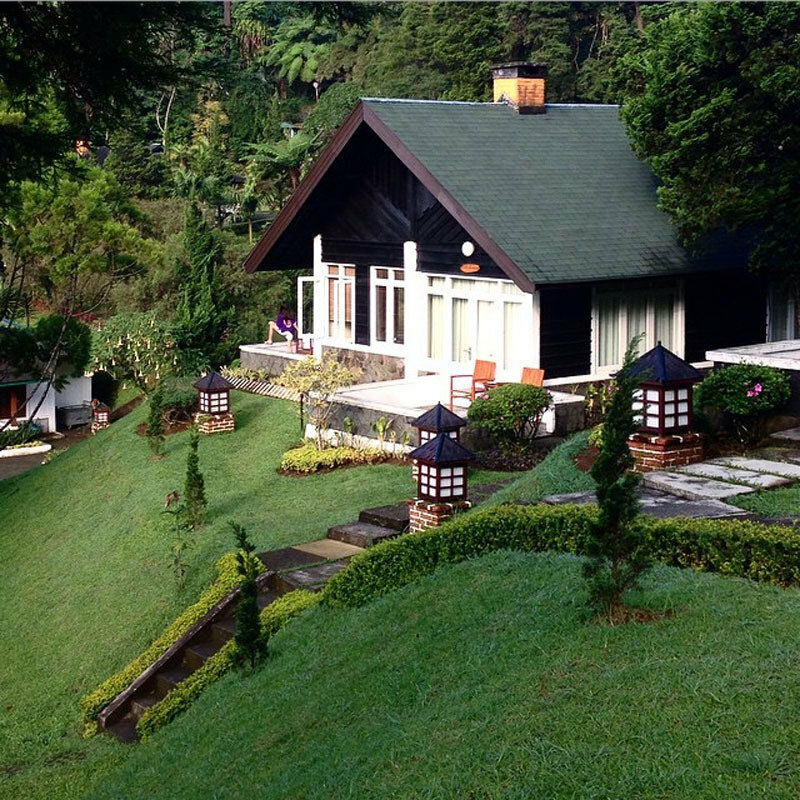 Puncak Pass Resort has a lot to offer, apart from its classy polished heritage concept. First, let’s talk rooms. 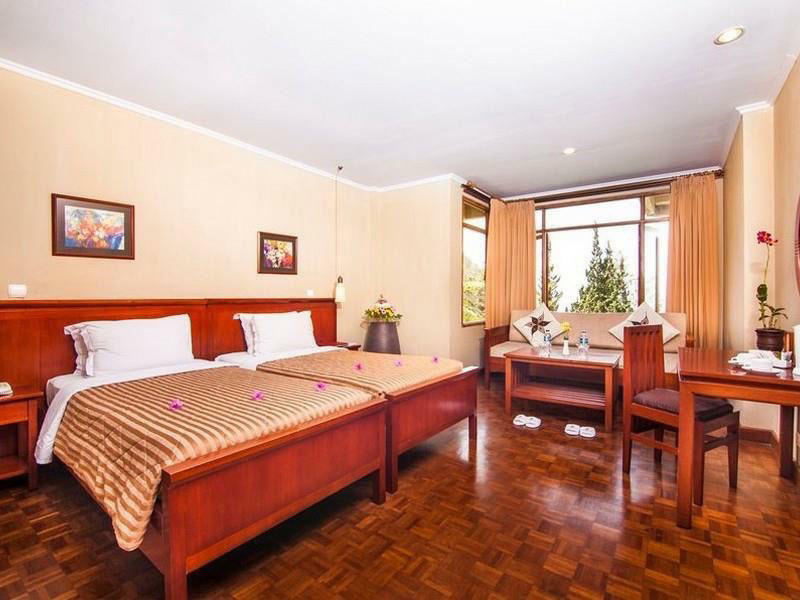 Between Superior, Deluxe and Suite, the accommodation choices at Puncak Pass are super sleek and truly polished, with all the modern comforts you might require. 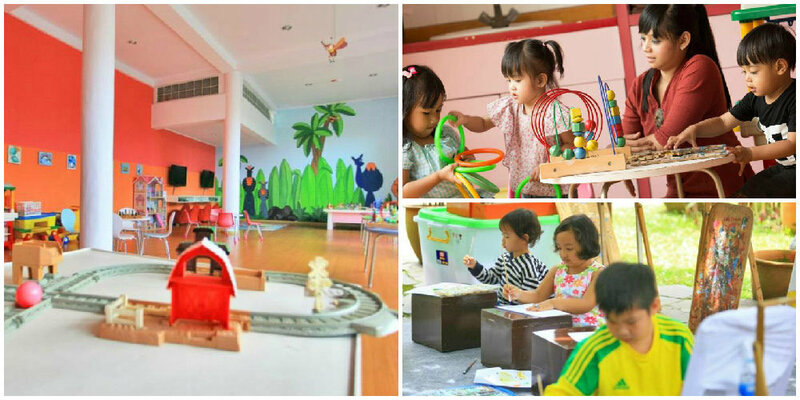 There’s also a kids’ play area to keep the children entertained if you feel like sneaking off to Puncak Pass’ Bougenville Spa & Sauna for a session of much needed R&R. The camping grounds are also perfect for a team building getaway or a family gathering; or if you want to try how it feels like to sleep under the stars… and then run back to the confinement of concrete walls the moment you open your eyes. If walking is more your thing, the grounds can be explored freely, or better yet, join the Fun Walk package for… well, a fun walk! 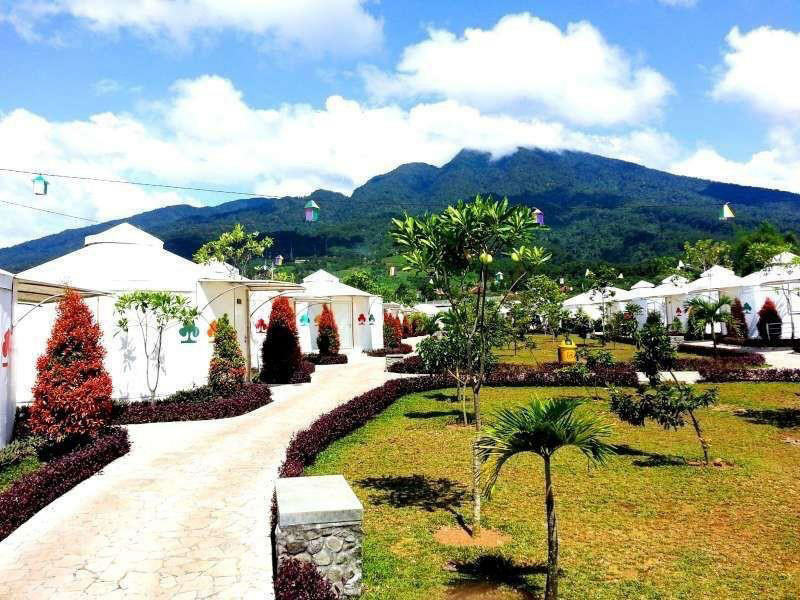 All in all, Puncak Pass holds plenty of activities and amenities for the perfect, relaxing and fun-filled family vacation with activities like horse-riding, and more. Wake up to European grandeur without the chilly weather. Clean, crisp, and fresh mountain air will transport you straight into the best and most healthy (and haze-free) holiday yet. Adding to that, the fact that you only get to eat farm-to-table food can only be a bonus. 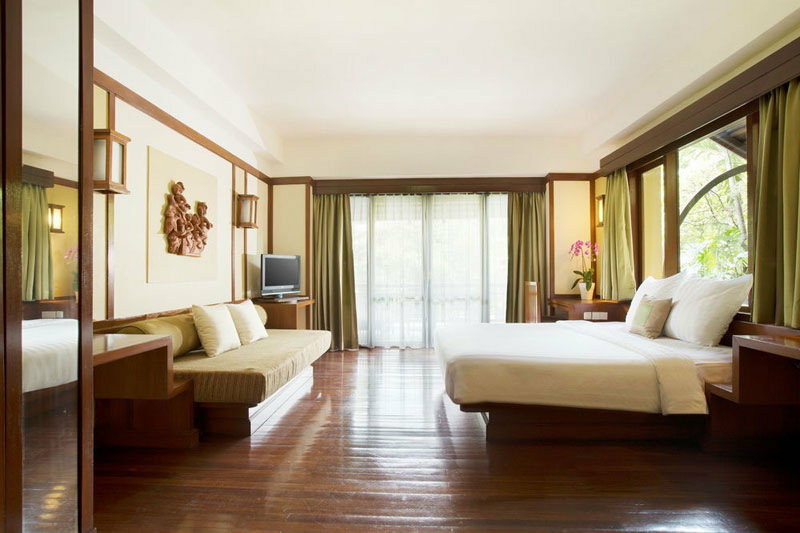 With cheerful and cosy rooms, Pinewood feels much like home away from home, and will see you and your family settled in right away. 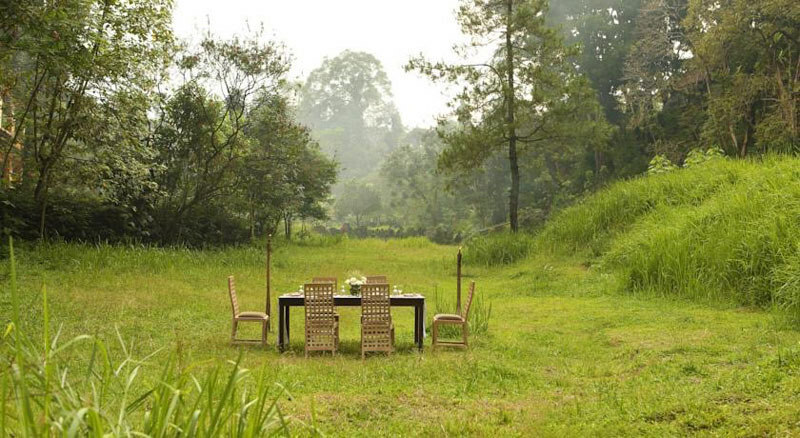 For a retreat like this, a wide range of activities to keep you happy and occupied is a must. 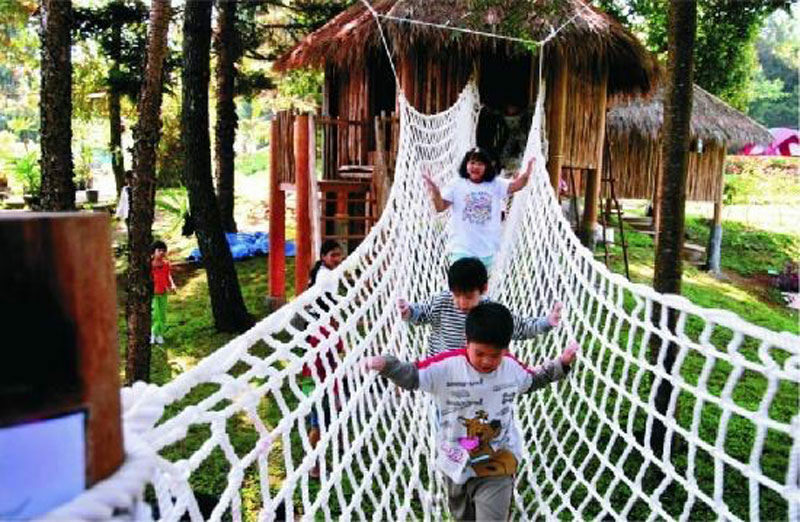 Thankfully, there are outbound courses like treehouses with ropes and bridges for the kids, billiard and karaoke, as well as a super fun pool decked out in colourful floating bubble balls. 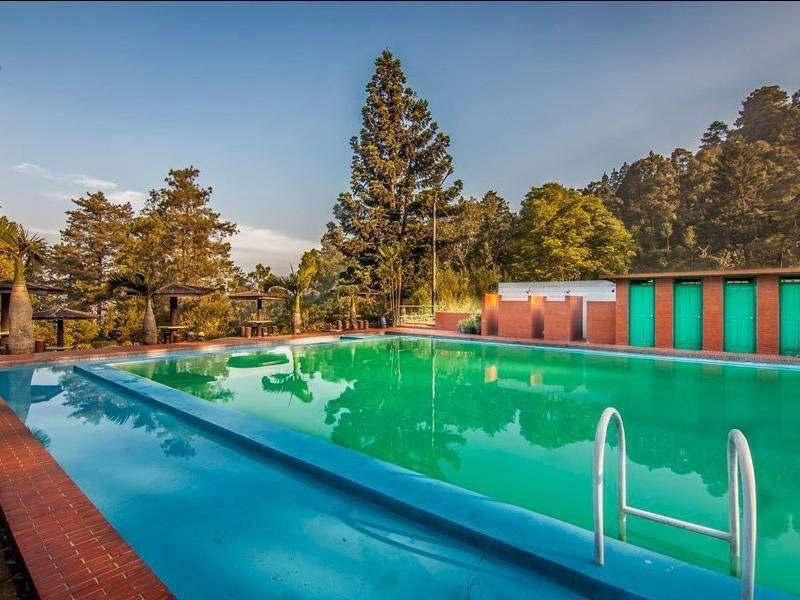 And if the adults want some down time, simply enjoy the majestic views, soak in the pool, or have a romantic dinner for two at Pinewood’s starry deck. The soft glow of candlelight, a glass of wine, and the lilting strains of Andrea Bocelli’s enchanting vocals will make this a night to remember forever. A good, relaxing vacation is simple. 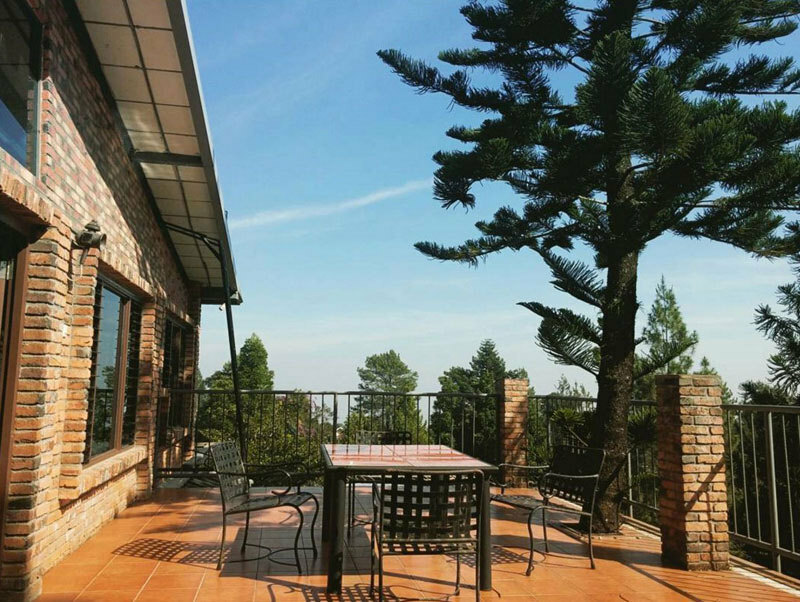 All you need are great views, great ambiance, comfortable lodgings, delicious food to keep you sated, and the perfect company. 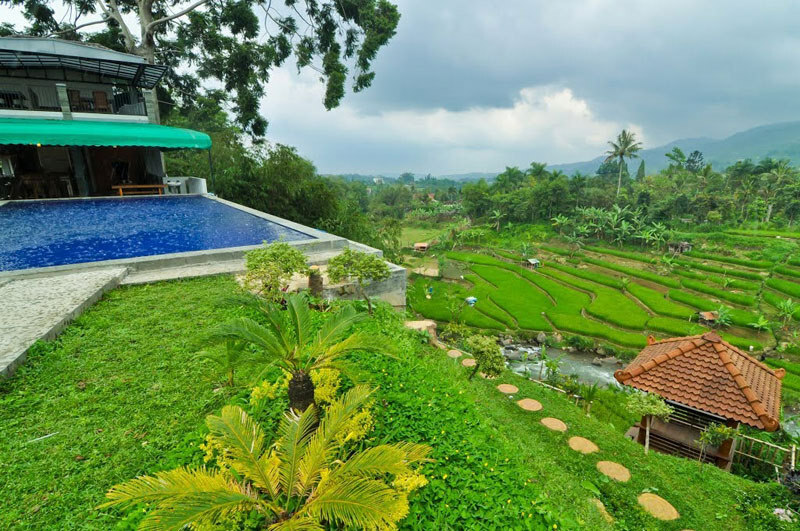 The lure of an infinity pool overlooking what seems to be a never-ending lush plantation, and the beckoning sight of traditional wooden houses – that’s what makes travelers flock to Khansa. Another thing people come to Khansa for? The priceless view from the pool. 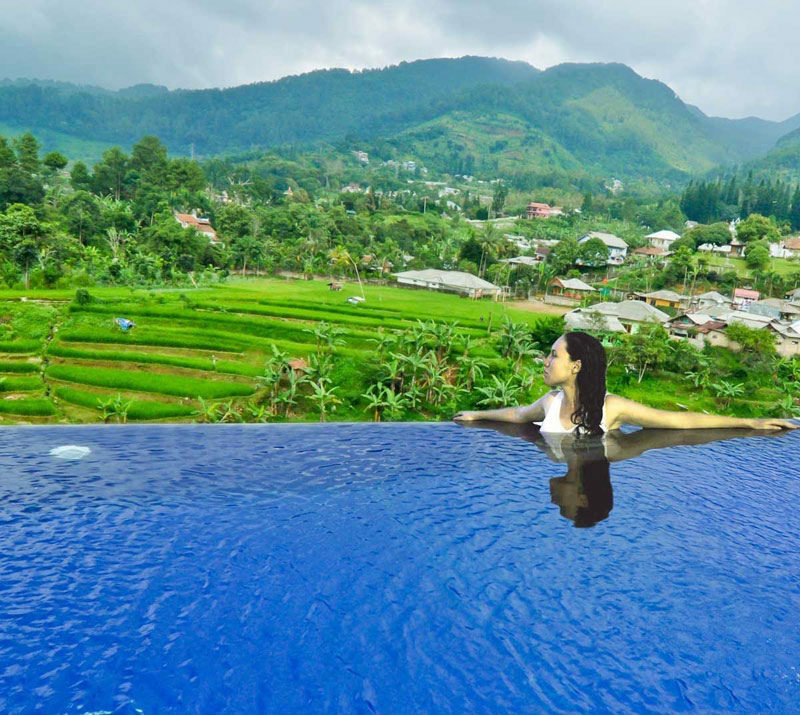 The deep blue of the pool is contrasted against relaxing shades of green from the emerald paddy fields, and the muted greens of the mountains – this view is truly one of a kind. 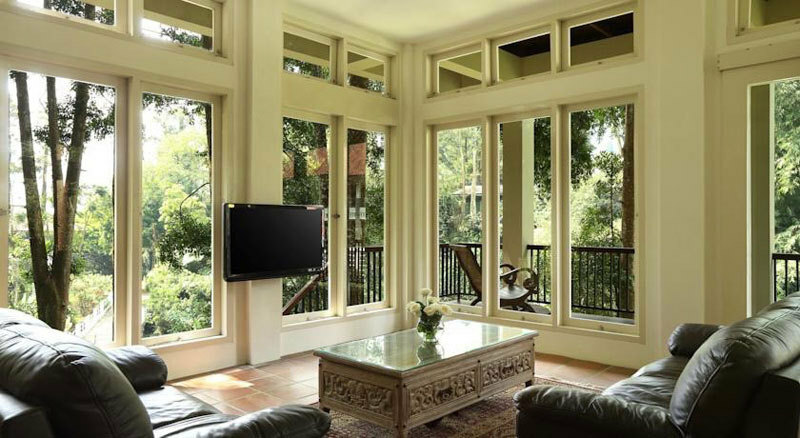 And with private pools and river views available in the villas, you’ll be more than happy to relax in this sanctuary. Khansa offers private villas ranging from the 2-bedroom variety to 6-bedrooms. 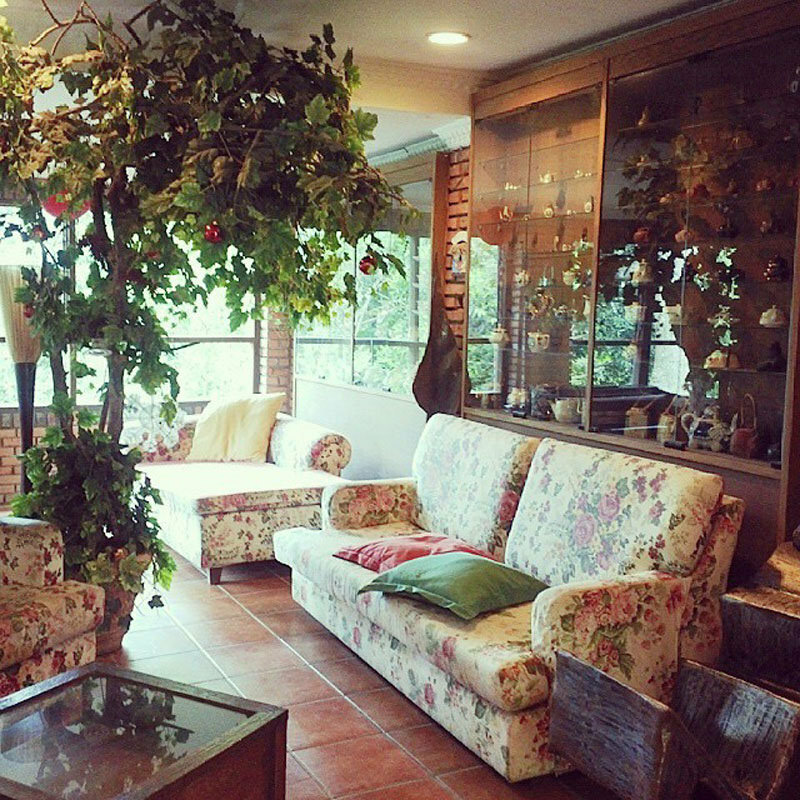 If your whole family is planning a retreat, Khansa’s 6-bedroom villa might just be what you’re looking for. In any of the villas offered, there’s also a living room for the family to hang out at, and a kitchen where you can whip up your favourite vacation brunch. 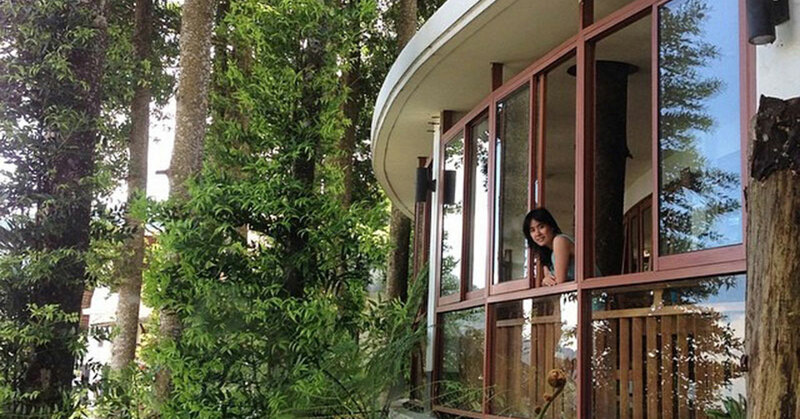 The rooms are also clean and simple, with sliding glass doors leading out to your private pool! Feeling like you’re the most stressed person in the world? Go down to the pavilion with a steaming cup of coffee or tea and take in the sunrise from that vantage point. 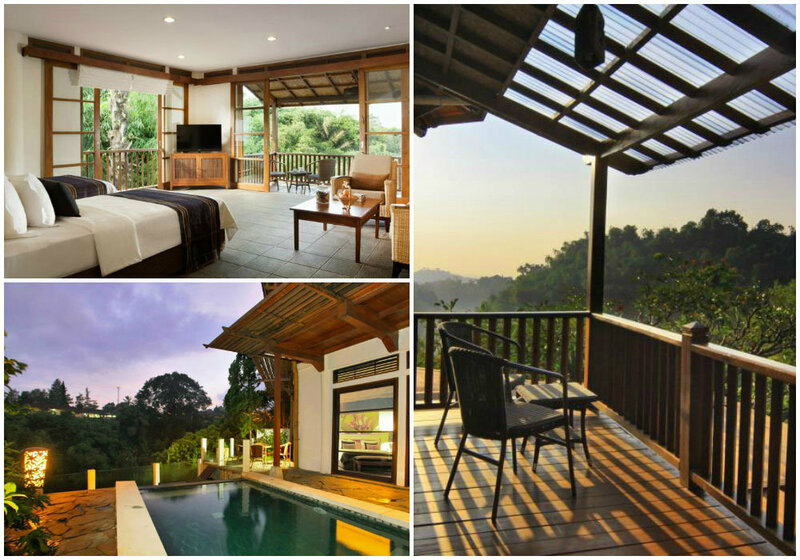 Stunning views and peaceful quiet are more than welcome on any retreat! 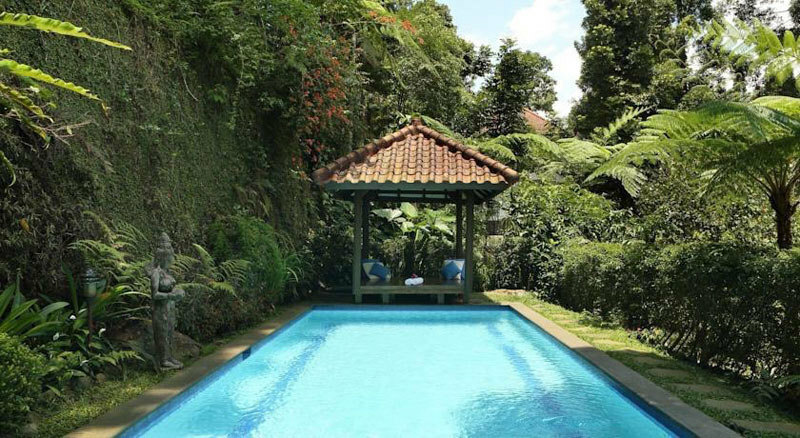 Looking to escape the concrete jungle of Jakarta? 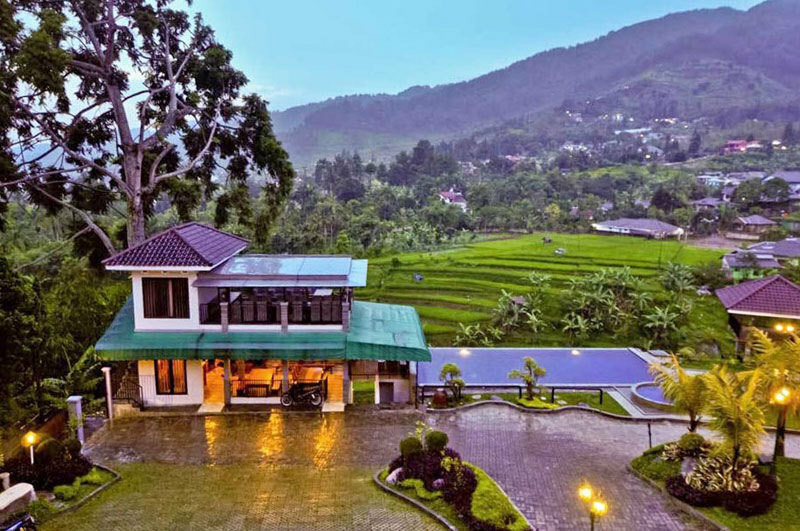 Whether your aim is to run to the rainforests retreats of Bogor/Puncak for fresh air, misty mountain views, or infinity pools – you will find one hotel in this list that suits your style. 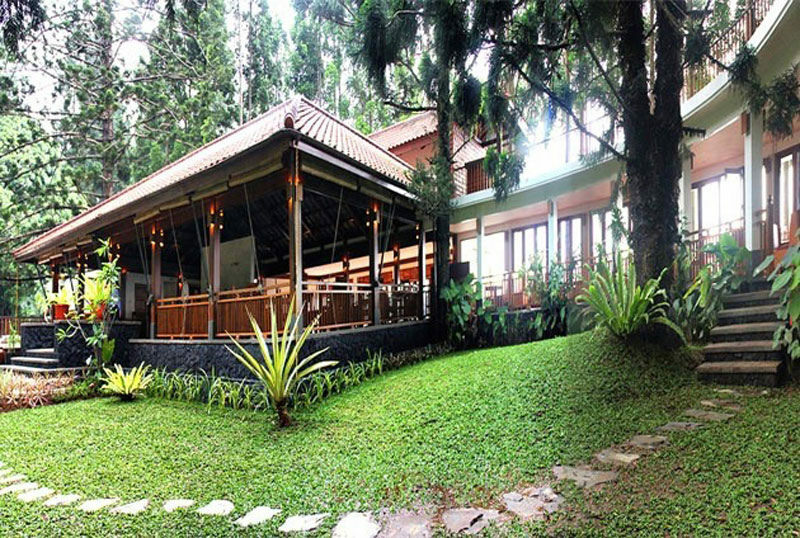 There is definitely a place for you to have a relaxing and most memorable retreat in Bogor/Puncak! 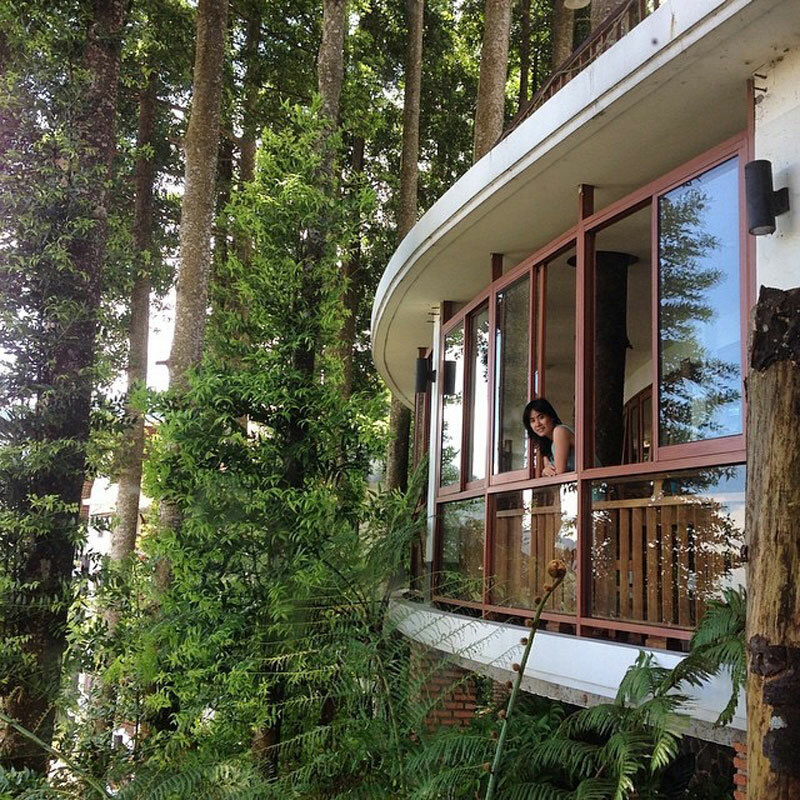 Are there any more amazing rainforest hotels in Bogor / Puncak that are worth recommending? Comment below to let us know!